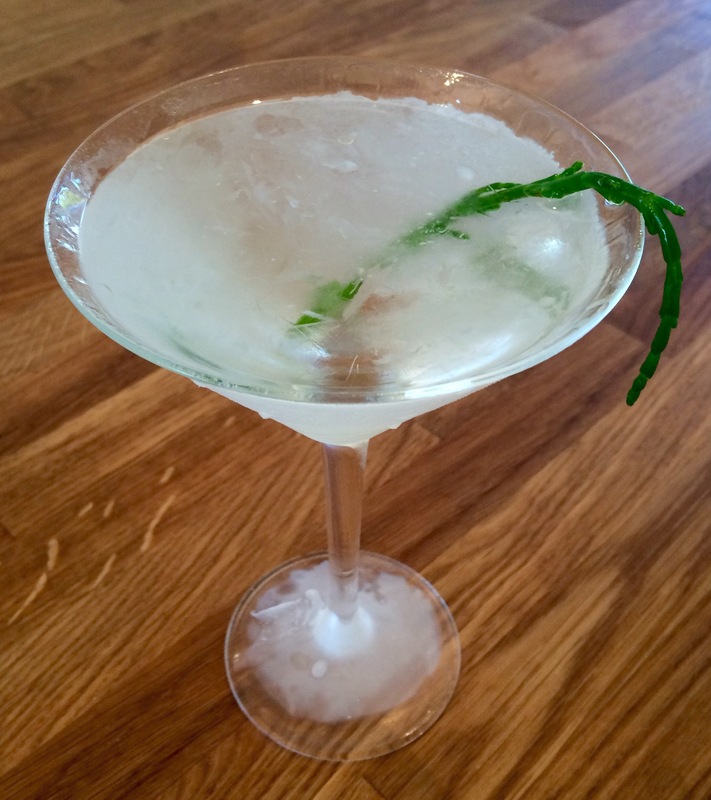 This is a very simple variation on the classic martini. The only thing I have changed is the garnish. 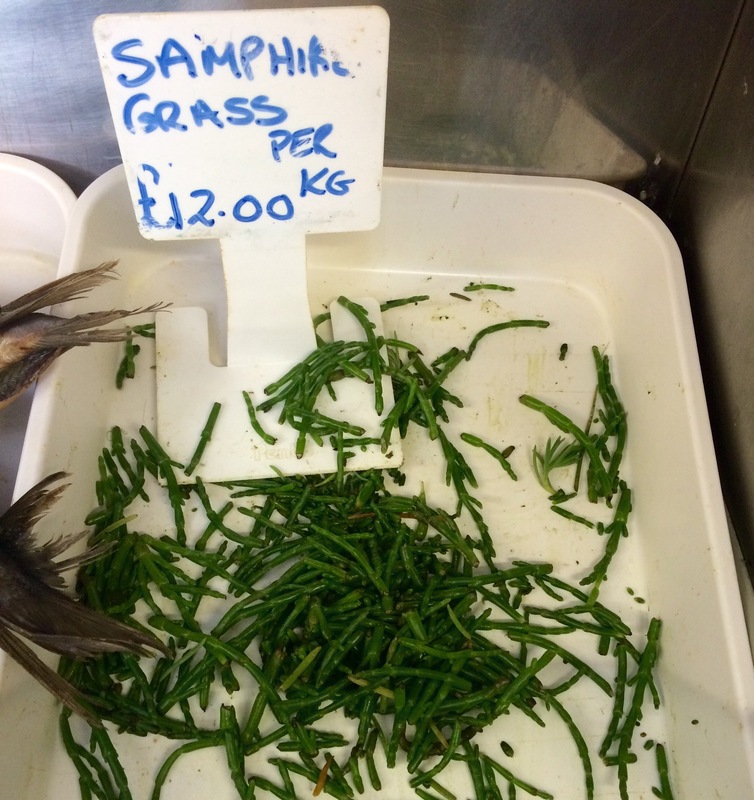 Marsh Samphire is one of my favourite foods. 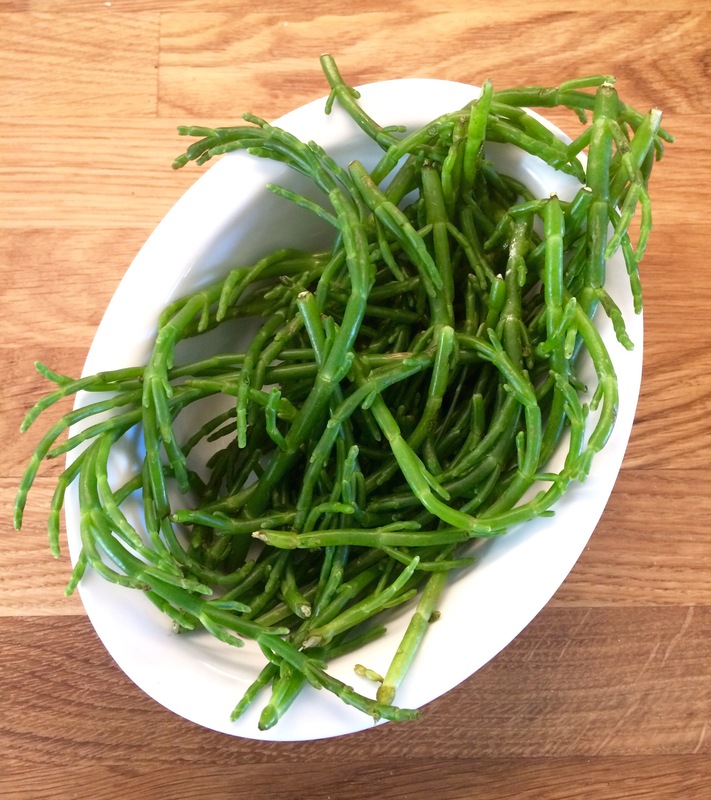 Harvested in the summer months from coastal rocky areas it is comparable to asparagus, but with a saltier and less pungent aftertaste. 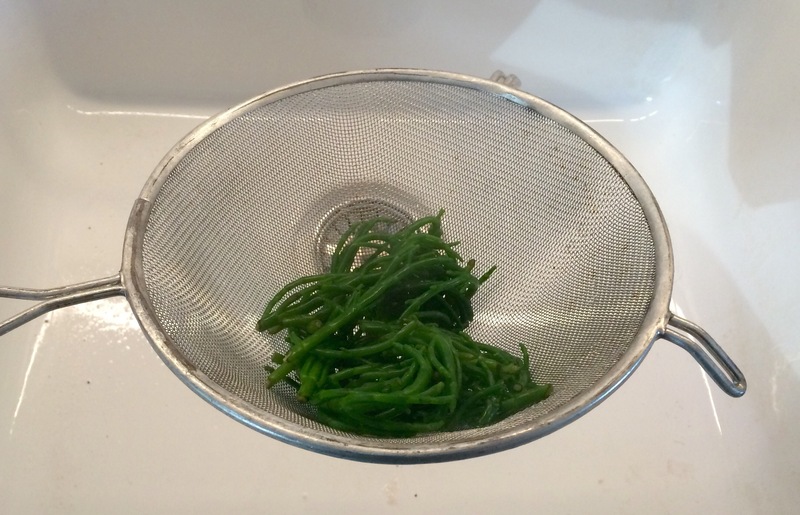 It’s very simple to prepare but it’s fleshy, crunchy freshness makes for a lovely seasonal martini accompaniment. Grab it while it’s in season (it can turn a little bit woody later on). You can usually find it in fish mongers in July/August. For this martini accompaniment, I returned to my trusty fish dealer – Watt’s on the pier in Oban. 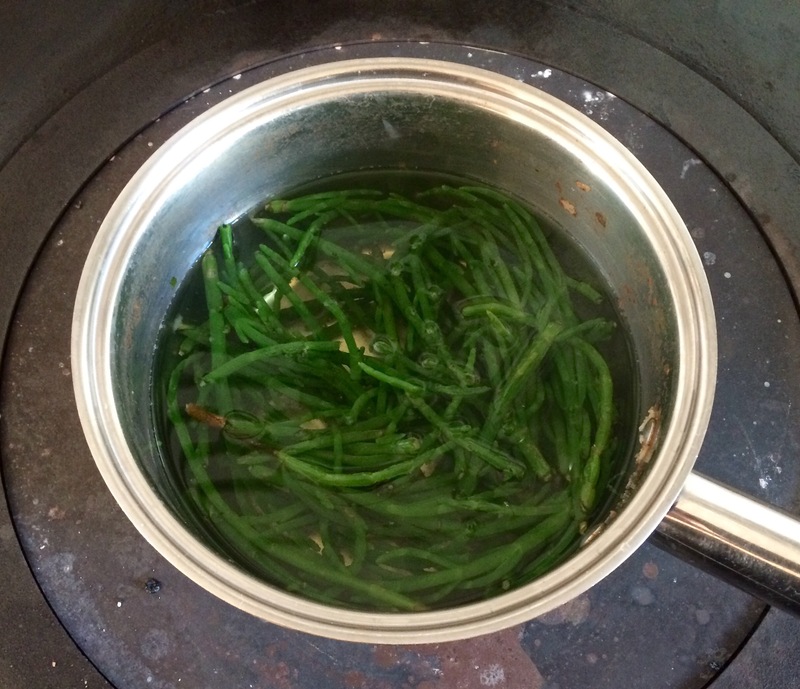 Boil it in lightly salted water for around 2 minutes. Add some butter and pepper to taste. 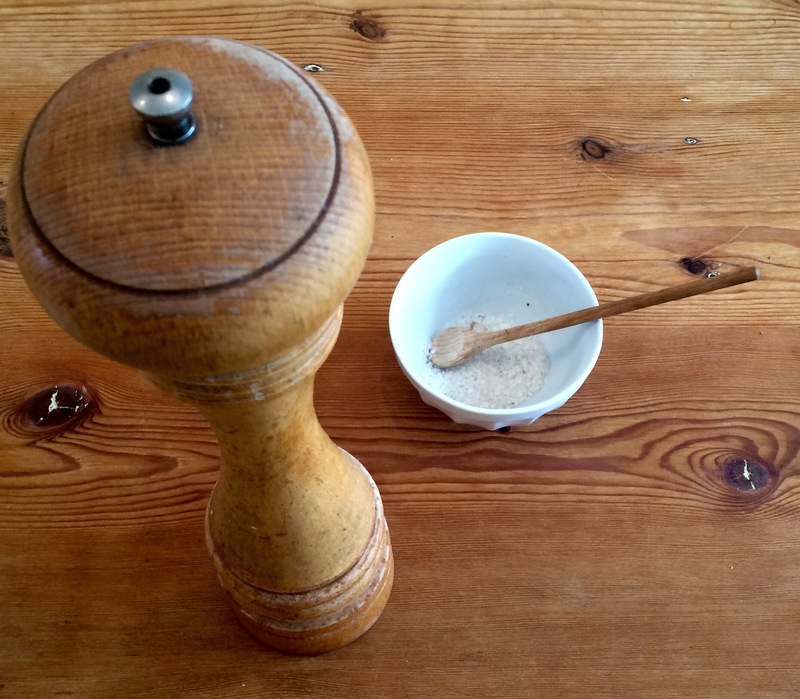 Serve it as a light bite on its own, as a starter or as part of a full meal. 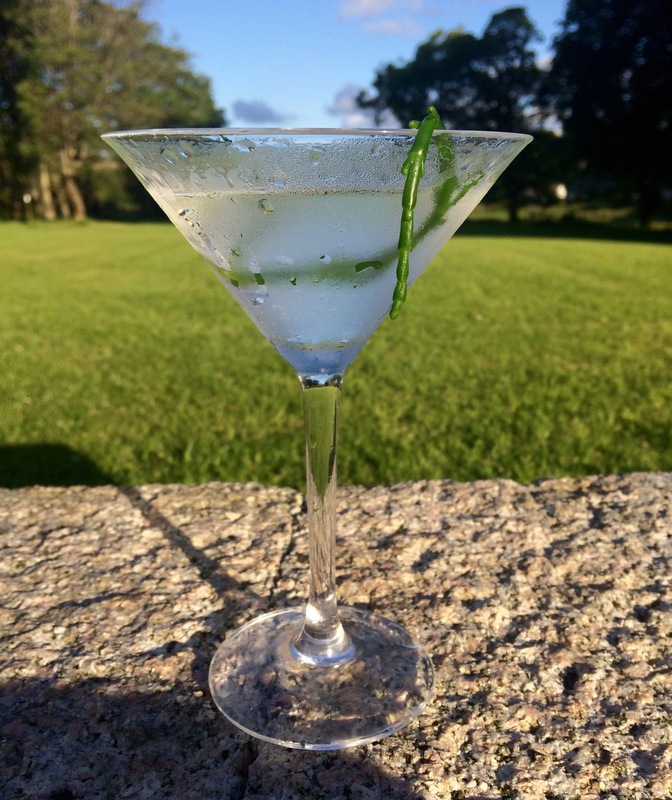 And it makes a nice garnish for a Classic Martini. 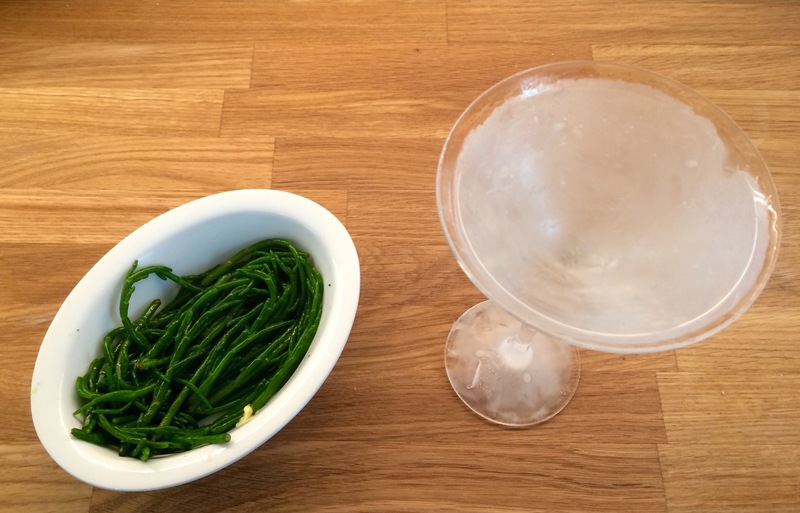 This entry was posted in Canapés, snacks and nibbles, Salt and Spice, The Diary and tagged fruit du mer, garnish, hebrides, midsommar, oban, samphire, samphire grass, scotland, seafood, seaweed, summer by themartinidiary. Bookmark the permalink.